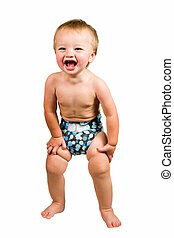 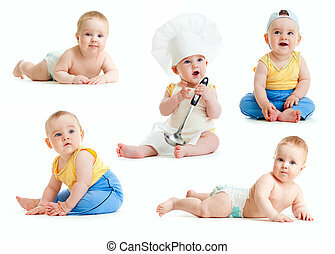 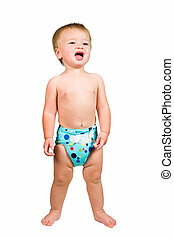 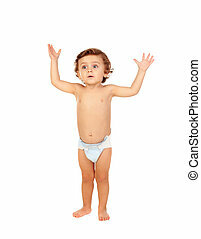 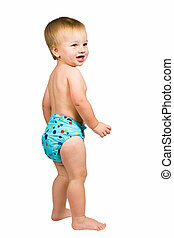 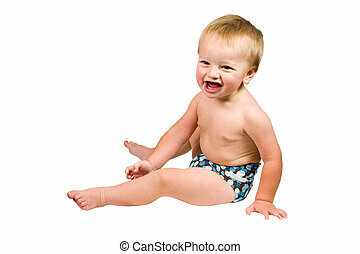 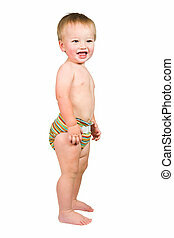 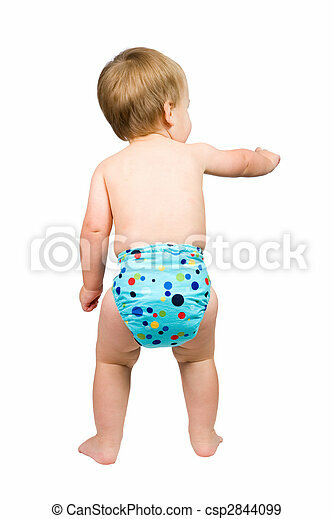 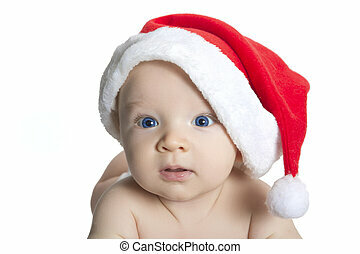 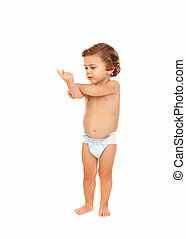 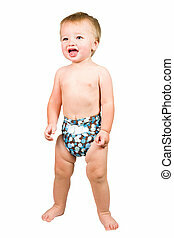 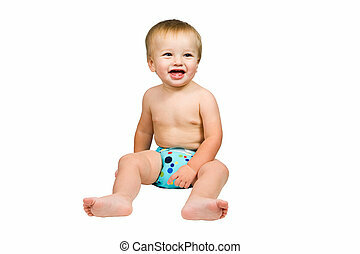 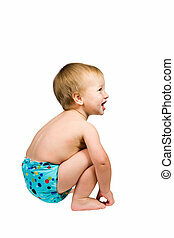 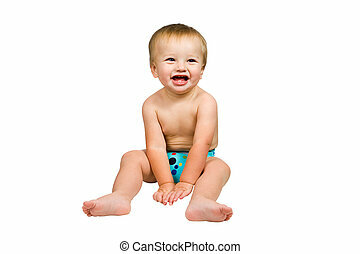 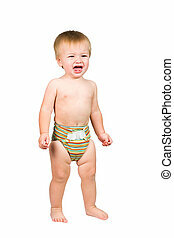 Cute baby boy isolated wearing cloth diaper. 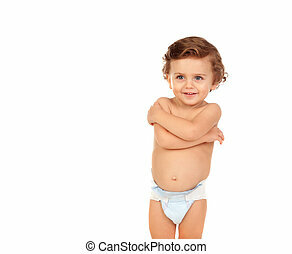 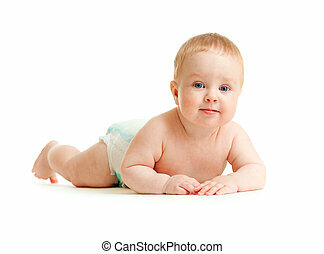 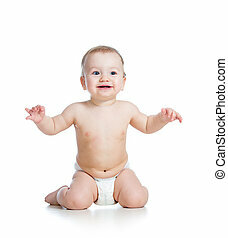 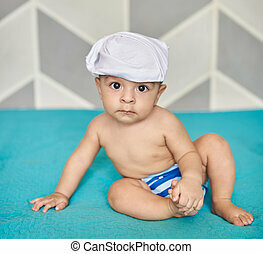 A portrait of a cute baby boy isolated wearing a cloth diaper. 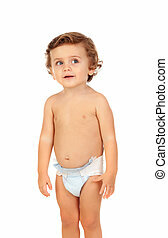 A portrait of a cute baby boy isolated wearing a cloth diaper. 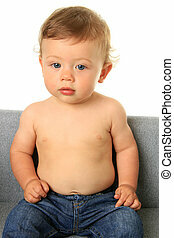 Cute baby boy wearing blue jeans. 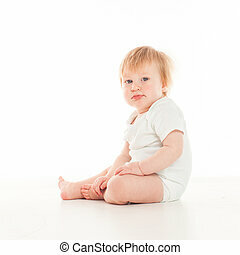 Studio isolated on white.